...find out more about the members club and personalised Health Coaching programs, I'll send you some goodies too! 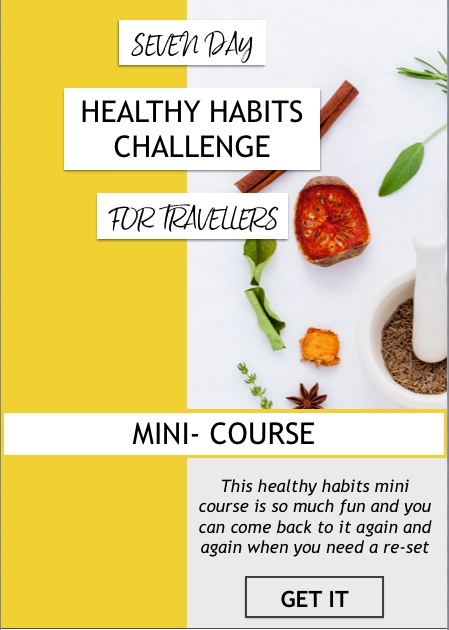 7-DAY HEALTHY HABITS CHALLENGE — THE MAY MINI-COURSE IS LIVE! Ready to set yourself up for a lifetime of good health? You just need to start building the habits that will get you there one day at a time. During the next 7-days, you'll get the chance to take a breath and focus on you, on your health and wellness as I show you the real life practical habits you can incorporate into your day quickly and easily to start making progress towards your goals, wherever you are in the world! If you haven't already, be sure to sign up for our first Q&A webinar on Thursday, May the 10th at 1pm EST. I'll be answering your specific questions about the May Mini-Course so feel free to start leaving your questions on the members only Facebook page?. Join in our? Facebook group to ask questions, share your progress, meet others and get the support and accountability you need to reach your health and fitness goals. If you need any help at all, have feedback or mini-course suggestions or just want to let me know whats going of for you right now, you can email emma@emma-janefry.com? and I'll get back to you within 24 hours. Check out this Jim Rohn motivational video over here >> and ask yourself, why not! You have lifelong access to all the mini courses so there's no rush, just chose one that feels like a good fit for you right now and get stuck in. If there's something you'd love to learn about or if you have a suggestion for a mini course then let me know, you can reach me directly at emma@emma-janefry.com.